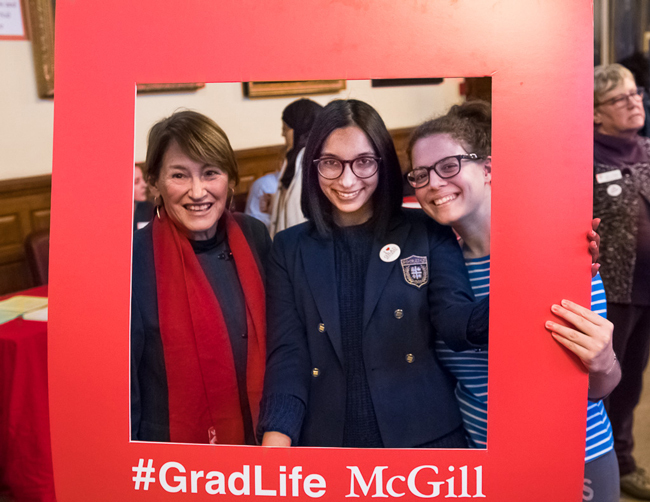 In an exclusive sit-down interview with GradLife McGill, Principal Suzanne Fortier shares the graduate, personal and academic experiences that have shaped who she is today. She also discusses her aspirations for Masters, PhD students and PostDoctoral fellows at McGill in 2018 and beyond. GradLife McGill is about sharing the graduate student experience through social media by connecting (following) and engaging (liking and commenting) with all graduate students. Do you have any memories of your experience at McGill as a PhD student in crystallography that you would like to share with us? Yes, I have many memories! There was no social media, of course, but there was a good sense of community within my lab and the department. We had tea and cookie time and we would all go to lunch together, professors and students. One thing that will stay with me forever is the support I received as a graduate student. I went to one of the top conferences in my field and I was just completely amazed and blown away by a particular presentation, which was completely in a different field of research than mine. My supervisor proposed “If you are really passionate about it, this person is having a three-week workshop, we’ll help you get there and support you.” After that, there was another workshop in Italy and they supported me in doing that. I had a supervisor who was one of the best in the world and so I was introduced to important people, including Nobel Prize Laureates. I remember when Dorothy Hodgkin came to visit our lab and sat down with me and I explained my research to her. My supervisor and professors were totally supportive, they made everything possible for me. What role can social media have in academia, and more specifically, in research? I think it has a very important role. GradLife McGill is a social media initiative of graduate students and it’s great to connect amongst yourselves, but it is also important to use it to connect with undergraduate students who wonder “Would I like to be doing what they’re doing?” You’re role models. Your experience matters for an undergraduate student who is not sure whether they want to pursue research or something else. And of course, to engage with the general public. I think that the general public is really interested in science and advancing their knowledge, particularly in fields like environmental science, medicine and food science. They are looking for good reliable sources of knowledge. I think you, as graduate students, are learning to share that with the general public. What is your advice to graduate students? It’s the advice I give to anyone, and I’m sure you’ve heard it before; find your passion. Know what will keep you stimulated and interested even when you face set-backs. Despite the fact that it is your passion, it will not be a smooth road, but because it is your passion, you’ll want to continue. When you push yourself to achieve more, you will have obstacles. You have to be prepared for them so that you can have the resilience to live through them. It can be difficult, you can get depressed, it happens, but you also have to learn to move on. That is why it’s important to take good care of yourself. One of your priorities as Principal is The McGill Commitment. Can you briefly describe how the Commitment affects graduate students? The notion is to have quality education that helps build the professional and personal lives of our students for their future. In order to do this, we need to go beyond our traditional learning environments. One particular initiative that was launched last year is to provide learning and professional work opportunities to PhD students. The time from submitting a thesis to its defence can be two or three months, this is the perfect time for an internship. The Dean (Graduate and PostDoctoral Studies) has created a program with money put aside, to make it possible for students to have these different learning experiences. The idea is not to create a “one size fits all” mold but rather a suite of opportunities. For one student the best opportunity may be to work abroad for an NGO, while for another, an industry experience. The idea is to offer a variety of opportunities to reflect what each student’s aspirations are. Another of your priorities is Unleashing our Full Research Potential. Part of being a graduate student is accepting that not everything goes according to plan. What do you think the challenges are facing McGill graduate students in 2018? I think one of the biggest challenges for graduate students today is to think about what they want to do with the experience they are gaining from their learning and education because there are many opportunities. When I was a student, maybe we just didn’t have the imagination, we thought there were two paths open to us; the academic route, to be a professor in a university or to work in industry. I would have never thought of being an entrepreneur and starting my own business, or even working in technology. I didn’t have those paths open to me. I think today there are a lot of paths open, but at the same time, it’s a challenge to figure out what you really want to do. Of course, in laboratory research, as mentioned earlier, you can have a great hypothesis. However, when you design your experiment and carry it out, [sometimes] the facts do not substantiate your hypothesis. This is extremely disappointing. It’s a big set-back and I think you have to learn to be resilient. You have to pick yourself up when you have this disappointment but also have a bit of optimism, because often negative results are telling of something you had not thought of before which may even be better than your original hypothesis. You can have a lot of disappointment in experimental based research but I think in all fields there are setbacks. I always tell researchers when they win a prize to celebrate. Celebrate your success because this day is here for all the moments in your life you were disappointed. Prior to becoming Principal at McGill, you were President of NSERC, and before that you were Vice-Principal of Research at Queen’s. What led you to choose an administrative career at a public institution over an academic or private sector career? Actually, I am an academic. 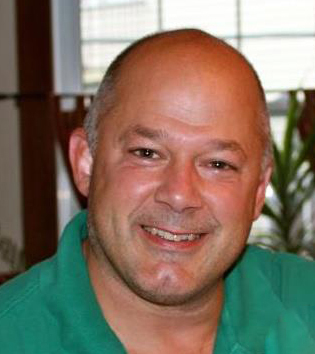 I was a professor for 25 years doing research. When I became Vice-Principal at Queen’s it was over and above what I was doing. So, I would say that I moved from an academic career to a more administrative and leadership based (position) at NSERC. As NSERC funded my research, it was a conflict of interest so I stepped down. Something that is quite personal, but I have been public about is that within a few months of arriving at NSERC I was diagnosed with breast cancer. I had surgery, chemotherapy and radiation. There is no question that as I went under all these treatments, my level of energy was diminished. I had to focus all my energy on NSERC. In a way, it was an easy transition for me as I had no choice. The cancer put me on this path in an easier way than had I not had this hurdle. What have been your keys to professional success? What skills have you developed along your career path that you believe Master’s, PhDs and PostDocs graduating from McGill in 2018 will need as they transition to professional careers? It’s hard to give advice as everyone has their own path. I know for myself, it has been enthusiasm and determination to explore. Not to be afraid to explore new paths and keep your ears open. When I was doing research at Queen’s, I had a friend who was a researcher in a completely different field, Artificial Intelligence. I asked “What is that, AI?” and even as a professor, I took several classes in AI so that I could understand what It was all about. From there we created a whole research program that used both mathematics and AI. To sharpen your antennae and that ability to recognize the really exciting things is very important in all aspects of life. When you come to a place like McGill as Principal, it can be very intimidating, this place is full of incredibly smart people. It doesn’t take long to see when great ideas are presented to you. We all have the potential to be smart and creative people. When you’re in a position like mine, sometimes, not always, I can make things happen. The example I gave earlier of internship opportunities after thesis submission, that idea came from a student. Another example is the Bright Spots Project. This idea came from a professor at McGill which is to focus on examples of environmental sustainability and understand elements of their success. When I heard about this, I was impressed and as a result, we have Bright Spots McGill, these are student led initiatives. For instance, we have the best compost at McGill because students have taken charge of learning the techniques. That’s a bright spot! We can do it across McGill, and even across all universities in Canada. Saima Ahmed is a Master’s student in Experimental Medicine. Her research focuses on eHealth tools in oncology from the perspective of both patients and healthcare providers. She is also the editor-in-chief of GradLife McGill, which aims to share the graduate experience through social media. This article originally appeared on GradLife McGill.